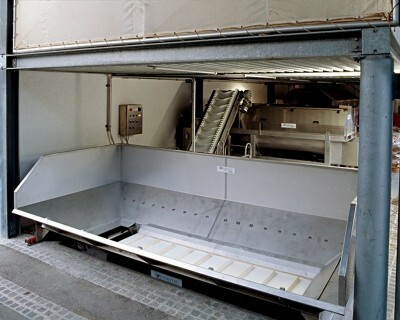 These tanks are made entirely of stainless steel and fitted with strip-type conveyor belts. They are all complete with speed control and accident-prevention means. The tanks have a pneumatic device for lifting the belt that makes them easy to clean.